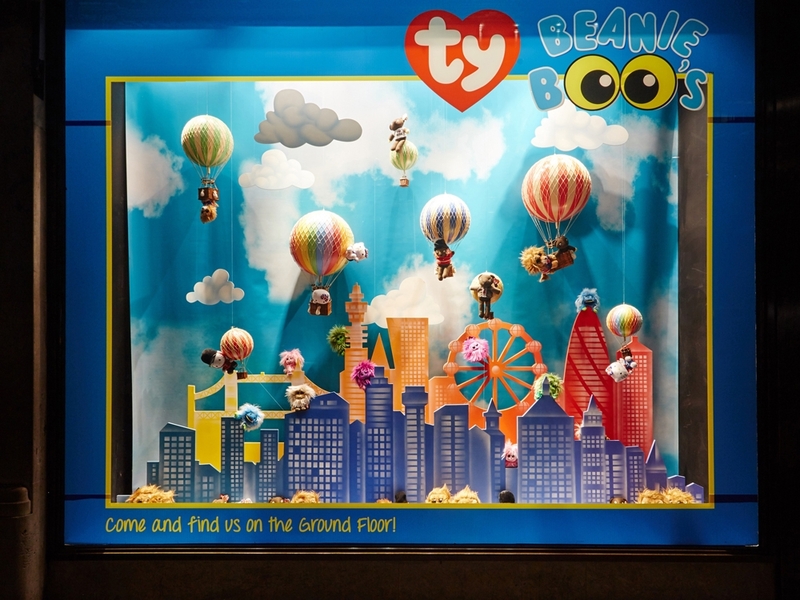 Spring is in the air for TY Beanie Boos. 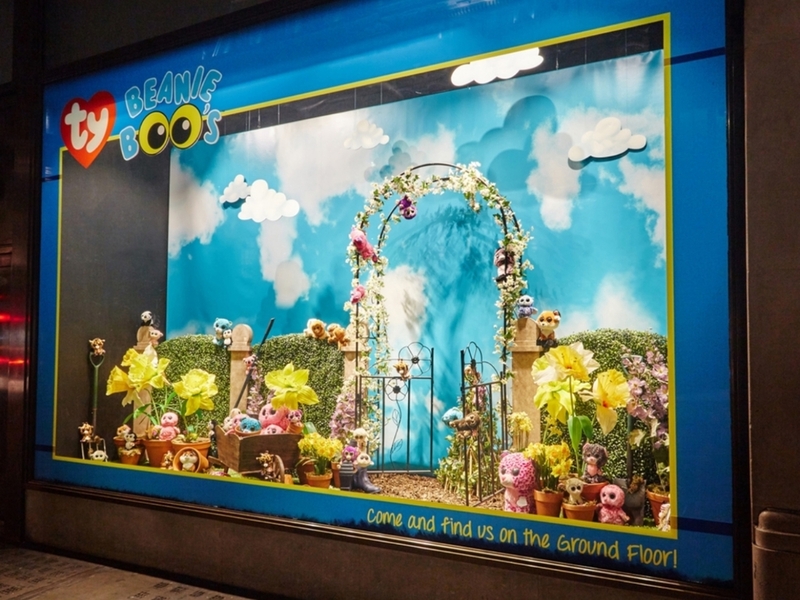 Creating four merchandise display windows to house TY Beanie Boo products, beautiful landscapes were created to deliver a touch of Spring to the façade of the famous store. The creative concept required props to be sourced, supplied and installed together with scenic painting to provide the appropriate backdrop to the displays. A floral archway, a decorative revolving bandstand, grassy hills with swings, and kites created an uplifting feel as merchandise floated down in hot air balloons - all sourced and crafted by Propability.